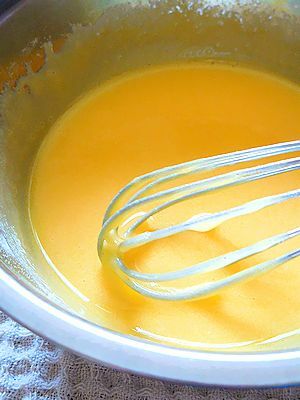 Do you like custard ? because I have gluten allergic.but i saw it when traveled in vietnam which looks like yummy. 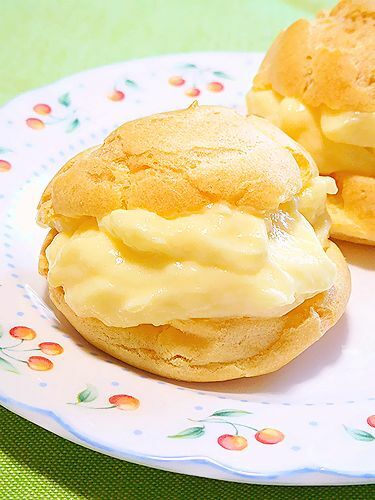 I wonder it contained sweetened condensed milk in a custard , so i made custard cream in condensed milk. I tried make gluten free cream puff dough. 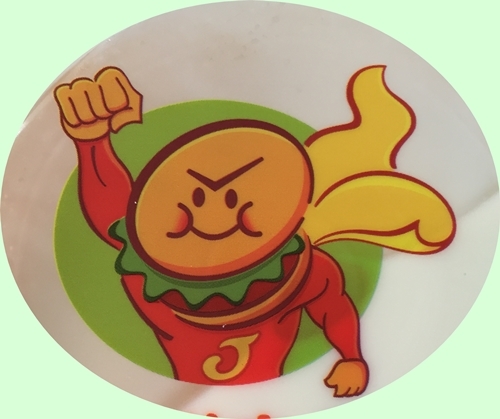 but, I need to more improve recipe and I have no confidence yet for publish here. 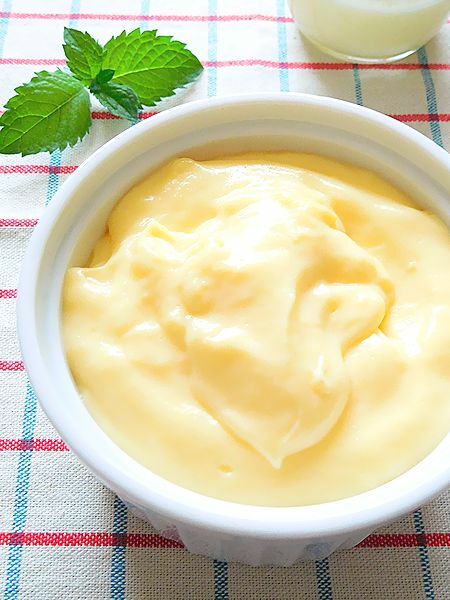 so, I’d like to introduce only custard containing condensed milk today that made gluten free. The taste is milky and nostalgy! 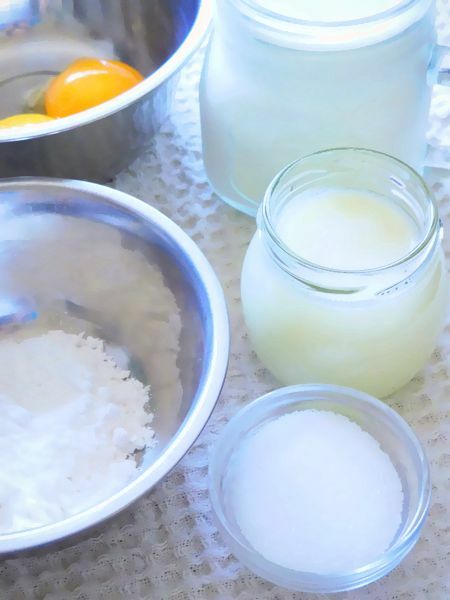 ※コーンスターチでも可 / You can use cornstarch also. 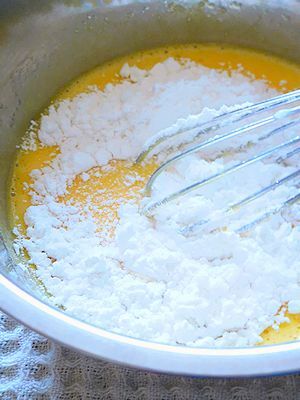 egg yolks and sugar into a bowl, then whisk about 3-4 min. the mixture going to be thick and slight white. 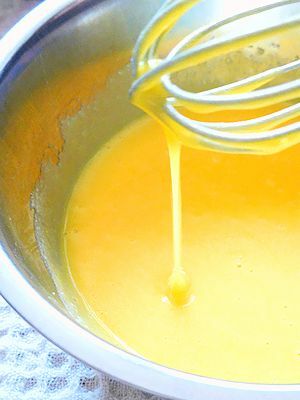 the condensed milk pour in the mixture, then whisk about one min. rice flour into the mixture stir well. 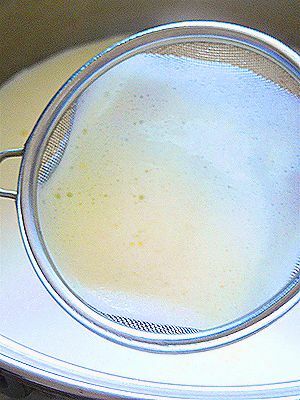 the the milk pour in the mixture little by little and add the vanilla extract. the mixture pour onto strainer for remove a card, put in it sauce pan. cook it over medium low heat, stirring constantly, until mixture thickens and comes to a boil and gloss, about 5 minutes. then away from heat immediately. Move it to the container. it cools down room tempature for few min. then it in the fridge. I baked nine puffs, but only two were succeed.